Save your fancy dinner reservations for another day. Here are the best local dishes in Bali that you must-try - and our fave roadside warungs that do them best! 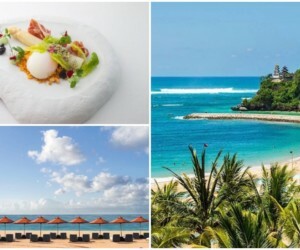 Depending on where you go, Bali can be an eye-opening cultural adventure, a party paradise or an utterly indulgent getaway packed full of luxe spas, white sand beaches and glamorous shopping sprees. 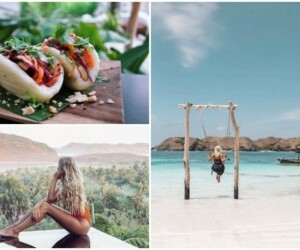 But one thing’s for sure: no matter what style of Bali trip you choose, you’ve gotta try Balinese food – it’s on another level. 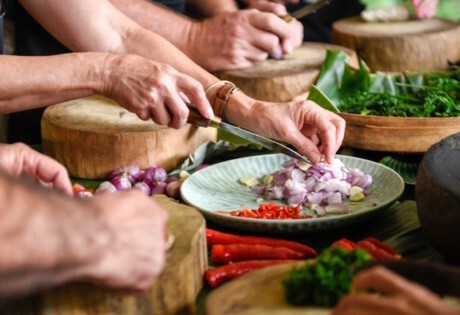 We’re not talking expensive eateries and Michelin-worthy restaurants here (we all know there are plenty of those) we’re talking age-old recipes that’ve been passed down through generations, and dishes stuffed full of fresh herbs, spices and a whole lotta Balinese culinary secrets. 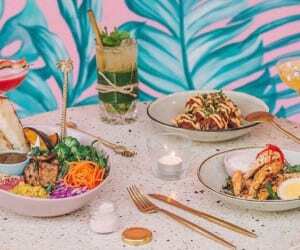 So, without further adieu, here are 7 of Bali’s best dishes – the Balinese food you simply must try, including our fave warungs where you’ll find them. Selamat makan! 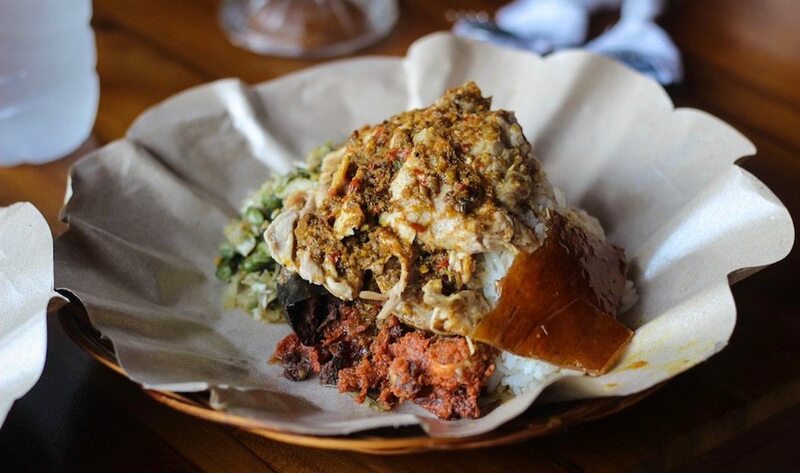 Probably Bali’s most iconic dish, babi guling (also known as suckling pig) is one nose-to-tail delicacy that you have to try. It’s usually served with rice, pork sausage, sayur urap (a vegetable salad in coconut chilli dressing), huge cuts of spice-rubbed, spit-roasted meat and the crispiest, crunchiest and most scrumptiously flavoured skin – all of which has been cooked to tender-perfection from hours upon hours of slow-roasting. YUM. 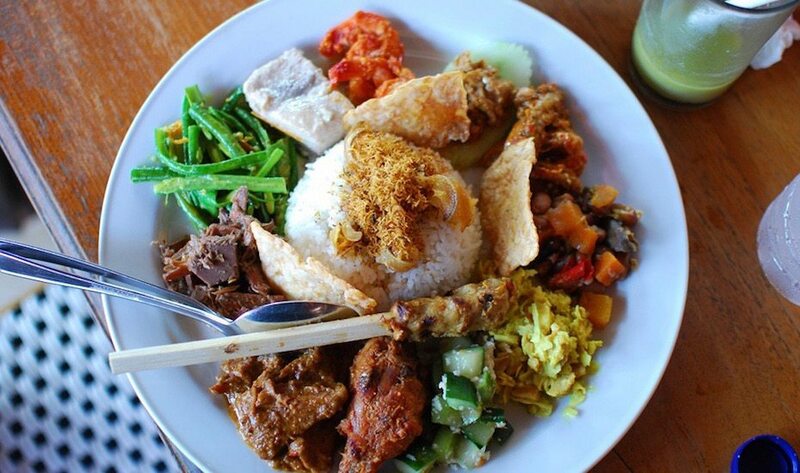 Balinese nasi campur (meaning mixed dishes with rice) is a fave with locals (and us!) who typically dine on this bit-of-everything dish for breakfast, brunch, lunch or dinner. 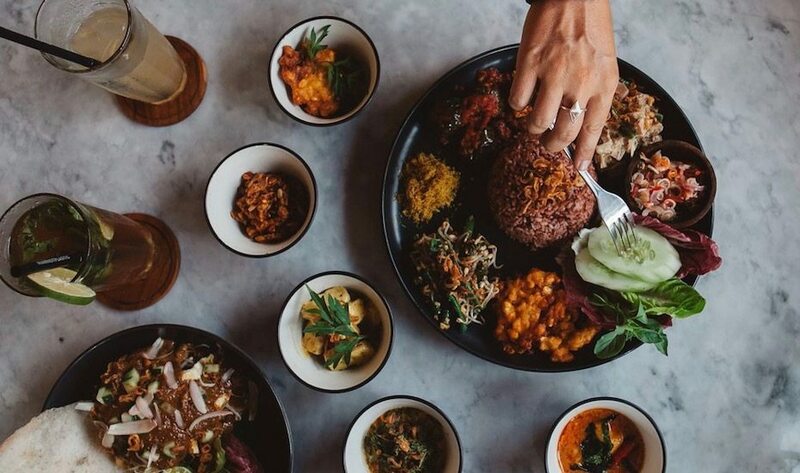 Like the pick’n’mix of the Balinese dining world, it’s an assortment of Indonesia’s best bites. For us, the mark of authentically good nasi campur lies in the ayam panggang (grilled chicken), the beef rendang (beef curry) and of course, the selection of hot sambals. For the best nasi campur experience, look for the buffet-style warungs that let you point to what you want to try from the glass cabinets. 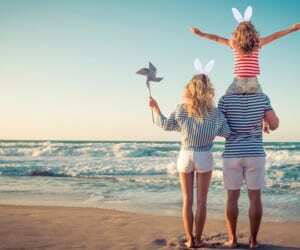 In our case: everything. We’ve all tried satay (grilled skewered meat) before – it’s almost everywhere in Southeast Asia. 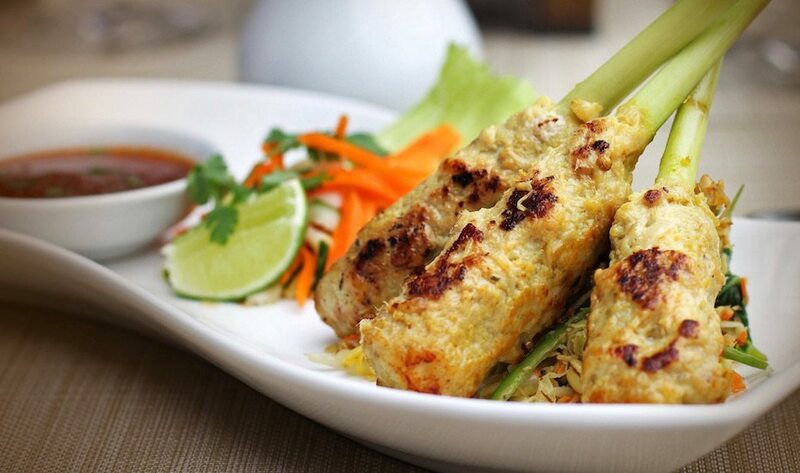 But not everyone has had the pleasure of tasting traditional Balinese sate lilit ikan (fish satay). Skewered and spiced, minced fish is grilled over charcoal or an open fire (sometimes on the side of the road) and the result is a slightly sweet, slightly spicy and totally delicious morsel moulded around a lemongrass stalk or wooden stick. 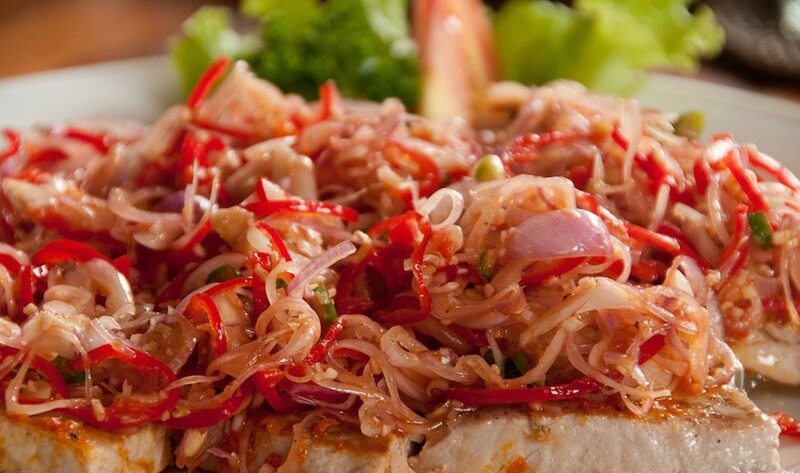 It’s best enjoyed with a healthy dose of sambal – naturally. 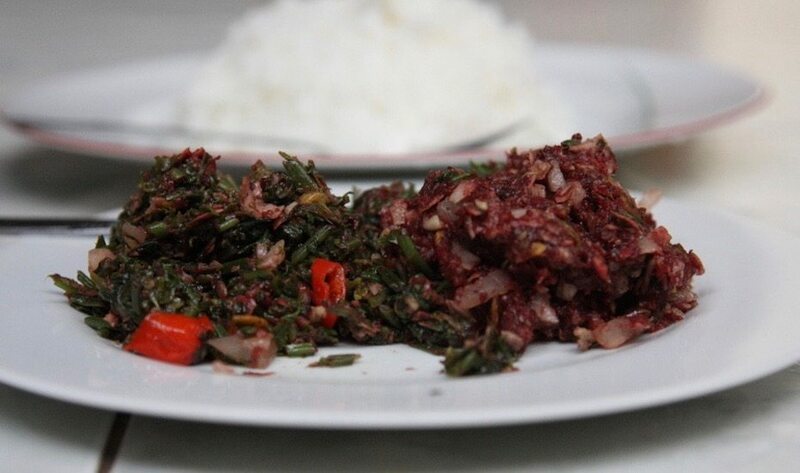 Try: Warung Mertha Sari (Jl Pesinggahan, Tuban) or Warung Ari (Jl Tukad Pakerisan, South Denpasar). Bebek betutu (smoked duck) is probably the most unique dish on Bali’s must-eat list. Local ducks are rubbed and stuffed with a mix of spices, wrapped in banana leaves and coconut husks, then traditionally cooked in a pit of embers underground for up to 24 hours. Spotting an authentically-cooked Bebek Betutu is easy: look for lashings of smoky duck meat that’s been cooked to a melty softness and slathered inside and out with slightly charred basa gede (Bali’s traditional spice mix) with lingering hints of lemongrass, turmeric and ginger. 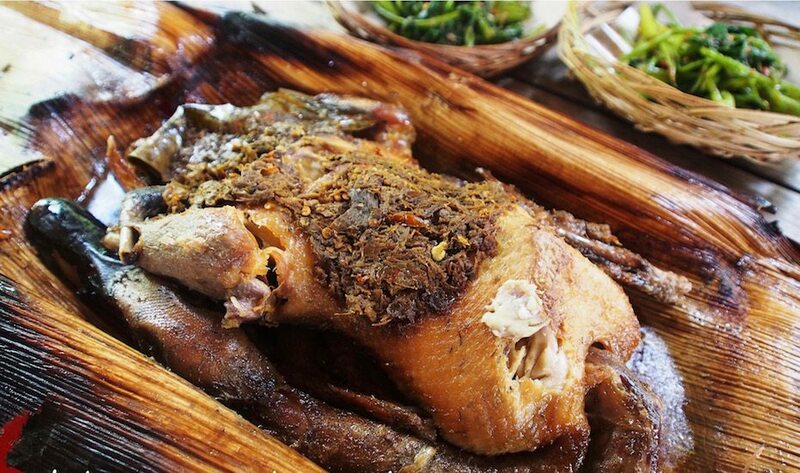 Try: Bebek Bengil (Jl Hanoman, Ubud) or Bumbu Bali Restaurant & Cooking School (Jl Pratama, Tanjung Benoa – Nusa Dua). 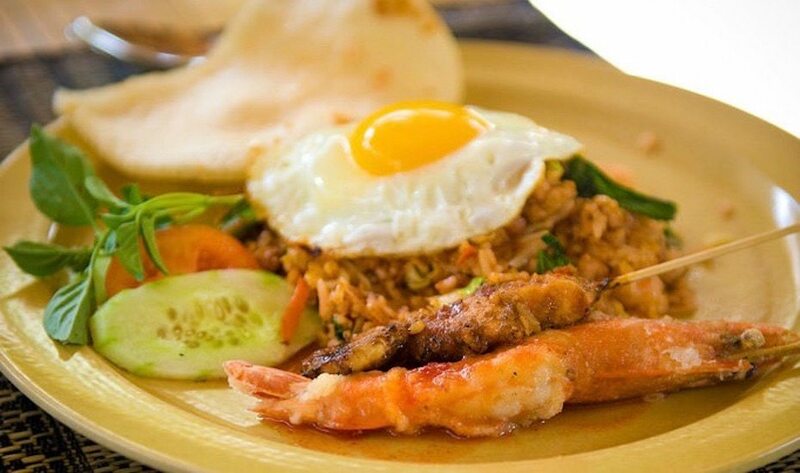 Practically the national dish of Indonesia, nasi goreng (fried rice) and mie goreng (fried noodles) are staples in the local diet. What your nasi or mie goreng comes with depends on where you’re dining, but it’s generally topped with a fried egg and dried shallots, mixed with veggies and sided with pickles, prawn crackers, and a few sticks of either chicken or beef satay. Find a really good nasi goreng, and you’ll be hooked for life. It’s said there are over 300 variations of sambal in Indonesia, but so far, Sambal Matah is our ultimate fave. It’s Bali’s own version of sambal, and a delicious, spicy staple for any Balinese dish. It’s made by finely chopping raw shallots, lemongrass, garlic, chilli and lime, then kneading it all together with hot oil, salt, sugar and a dash of shrimp paste. It’s best enjoyed on fresh fish or chicken, or if you’re like us, you can just dig in with a spoon. Not for the faint-hearted, Lawar is a Balinese meat salad made of minced pork (or sometimes even dragonflies and turtles), offal, young jackfruit, coconut, galangal, chilies, spices, and fresh blood. It’s an out-there dish that makes for a real adventure on any Balinese culinary journey, but it’s highly recommended if you can stomach it! If you can’t, you can request lawar without the blood in the mix, but it’s just not the real deal.